In the dumping of Canadian trash in the Philippines case, an international agreement has been mentioned repeatedly. Philippine-based environmentalist and activist groups have strongly echoed the fact that Canada has violated the Basel Convention. There are several international agreements --- that are aimed at mitigating the effects of global warming and climate change… and, in this case, the transboundary movement of toxic and hazardous waste --- have already been passed and agreed upon by a majority of participating countries. The next set of blogs/articles will be devoted to these international accords to increase the level of awareness on their history, aims and objectives. 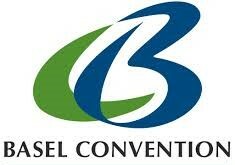 One such international accord is the Basel Convention.